Simply CLICK HERE to give us the details of your discount. 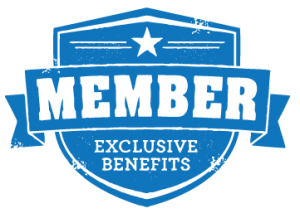 Once you log in to your account you can either print a copy of your membership card or download it to your phone so you always have your card handy. - 20% off Single Services which include: Whole Body Cryotherapy, Local Cryotherapy, Cryotherapy Facials and Normatec Compression Sleeves. Tina McDermott Personal Training and Nutrition 375A Gambrills Rd. | Gambrills 410-570 -5170 tina@tinamcdermott.com 20% off your first month's personal training program. Kumon of Crofton 1117 State Rt 3N #105 | Gambrills 410-721-7079 croftonkumon@gmail.com Free Registration for Chamber Members and their families. Only available at the Kumon in Crofton. Savings of $50. 1631 Digital Advertising 106 Mainsail Dr. | Stevensville 443-310-6266 corbe@1631digital.com Free Online Ad Creation! Promote your website - boost sales online. All Chamber members can receive FREE creative/production (a $500 value) with purchase of your first online campaign/digital strategy. Upper Marlboro 443-889-5943 mmurray@bestversionmedia.com 30% off exclusive offer to GCCC members to sponsor a full-color glossy publication mailed to every homeowner in Piney Orchard & Chapel Grove. This includes up to 4 articles per year as well. CBay Advisory.com 1273 Robert Road Crownsville 410-923-6925 adam@cbayadvisory.com Receive up to two hours of consultative service free of charge to identify the business issues that trouble you. This is a $350 value. Pongos Interactive 2141 Priest Bridge Drive, Suite 8 | Crofton 301-789-1815 info@pongos.com 20% discount on web/mobile (app) development and training. Does not include Coder Kids Club, unless specifically noted in the course description. 410-458-1139 CherMss1@aol.com 20% off everything purchased directly from me. If you order from the website they will not honor the discount. I am fully stocked or will order for you. Newk's Eatery 1360 Main Chapel Way Gambrills 443-302-2734 janeparknewks@gmail.com 10% off your entire purchase- including catering. Blue Cap IT 1520 Elwyn Avenue | Crofton 410-302-5974 scott.stefan@bluecapit.com Free IT Assessment for any business. The output will be a road map to help use IT to enable your business to grow and become more secure. Coffee News Maryland 7404 Macon Drive | Glen Burnie 410-360-0588 advertise@coffeenewsmaryland.com 10% off advertising, plus no layout or design fee (an additional $50 savings). 443-254-4101 James.Harvey@n2pub.com 5% discount and free ad creation services (a $399 value) for new Living in the Triangle sponsors from the GCCC. LewLew Energy 12120 Plum Orchard Drive | Suite 145 | Silver Spring 301-755-6527 sales@lewlewinc.com LewLew Energy is offering a special rate on our LED light bulb which helps you save money and energy. This amazing LED bulb uses only 9 Watts but is equivalent to a 60W bulb. For a limited time get your LED light bulb for $1.99.